In the middle of next summer, on July 12th the paths of not only Latvian fans, but also of neighboring countries, will lead to Riga, Lucavsala, where the only concert of the global megastar Ed Sheeran will take place. Thanks to the longstanding efforts, Riga, the only one of the Baltic States, is finally chosen to host the musician's extensive 2019 "÷ (Divide)" tour. Tickets available on www.bilesuserviss.lv network on September 27th starting from 12:00. The first limited amount of tickets will cost €59. Attention! For Latvianfans tickets will be available only in e-shop www.bilesuserviss.lv. Please note, the tickets will not be available for purchase in “Biļešu serviss” ticket outlets. For the first time in Latvia tickets will be personalized, non transferable and valid for concert entry only upon show of personal document (valid passport, ID card or driver’s licence). The entry will be refused if the name on the personal identification document does not match the name on the ticket. There is a ticket purchase limit of maximum 4 tickets per one customer. 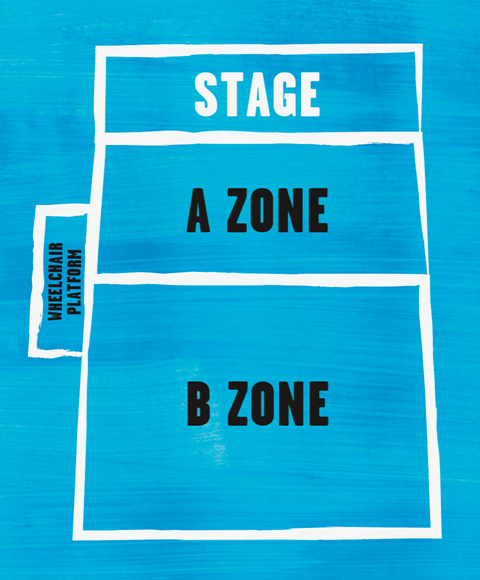 Please read the terms in details here www.edsheeranriga.com! Ed Sheeran released his Grammy-winning third studio album “÷ (Divide)” in March last year. A songwriter of a generation, Ed has continued to dominate charts across the globe since its release. With over 15.5 million copies sold worldwide to date, “÷” has spawned Ed’s hit singles “Shape of You” (the third biggest-selling single of all time in the UK and most-streamed track on Spotify, ever), “Castle on the Hill”, “Galway Girl”, the 2017 UK Christmas Number 1 “Perfect” and “Happier”. Sheeran released his 10 million-selling debut album “+ (Plus)” in 2011, which featured the UK’s biggest-selling debut track of that year “The A Team”. In 2014, he returned with his critically-acclaimed 2nd LP “x (Multiply)” featuring his global smash “Thinking Out Loud”. ‘x’ charted at #1 on both sides of the Atlantic and has since been named one of the biggest-selling albums of all time by The Official Charts Company - the album is now 90 x platinum and has sold 16 million copies, worldwide. Accordingly, it is a logical result that Sheeran's "÷ (Divide)" tour surpasses one highscore record after another, and the dates announced in many places have to be supplemented with new ones. In Ireland, more than 300,000 tickets for seven shows across Cork, Belfast, Galway and Dublin were sold in a single day, making history for Sheeran being the only artist to ever do such accomplishment in Irish territory. It went similarly in Warsaw, where 2 stadium shows were sold out within a few hours and more than a year in advance. In Australia and New Zealand the tour broke the official record for the most tickets sold at over 1 million, as well as most stadium shows by a single artist on one tour (18), what is an absolute record for the region. The popular magazine GQ Magazine about Sheeran: “.. he is de facto voice of a generation, with music that reflects his personality and the defining characteristics of his audience. The recurring qualities of Sheeran’s music correspond with those that his own generation, the millennials, most value: authenticity, realness, earnestness, sincerity. Sheeran’s trick is to be both an everyman and a man apart. He is, to his fans, just like them, but with the talent of [nobody else]”. Ticket sales start on September 27th at 12:00 and only on www.bilesuserviss.lv homepage. Entrance tickets in ZONE B for this event are in a different price range. Tickets do not differ by quality. Please choose cheapest tickets available.